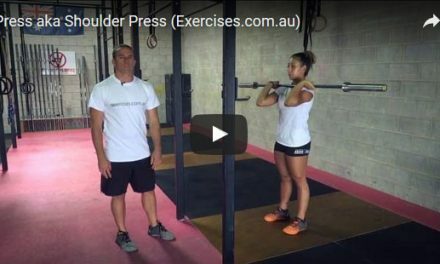 Hammer strength chest press is a great exercise to perform to really hit the chest muscles, building maximum muscle size and strength. It can be done as a warm-up exercise with less weight before moving on to the bench press exercise or can be done as a substitute for the bench press itself if done with heavy weight and lower reps. Position yourself in a hammer strength chest press machine with the appropriate amount of weight on either side. The back should be flat against the back pad, head resting comfortably in place. Take a deep breath in and as you exhale, drive the hands out in front of you, moving along with the machine as it guides you. Continue pressing out until the arms are almost extended and then pause briefly and begin lower the weight back down until it is almost in the starting position. Continue on until all reps are completed. To maintain greater levels of stress on the muscle tissues, don’t ‘lock-out’ at the top of the exercise. Instead, keep a slight bend in the elbows as you perform the exercise, keeping constant tension on the chest muscles. Additionally, be sure that you are keeping your feet flat on the floor at all times for support and to also keep the spinal column in proper alignment.